In today’s dog eat dog world of cake decorating we are finding new ways to decorate our cakes, at the forefront of the fight are silicone moulds. Ever increasing in popularity, silicone is durable, easy to use, mostly food grade and even oven-proof! Marvelous moulds are quite unique in the fact they have a self trimming blade and come in many elegant ranges. Ranges that have been put together in collaboration with high profile cake decorators and makers like Marina Sousa and Elisa Strauss. 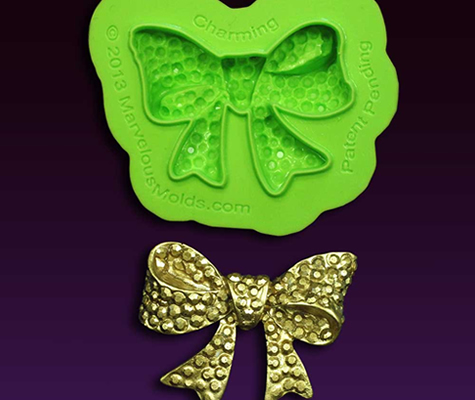 They are food safe, heat proof and come in an attractive lime green colour, very sassy! 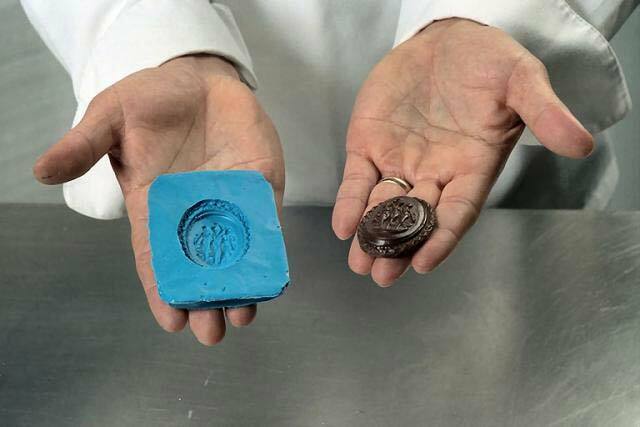 In addition to this, they have a unique type of mould called Onlays, Onlays are flexible and have a very simple process behind them. 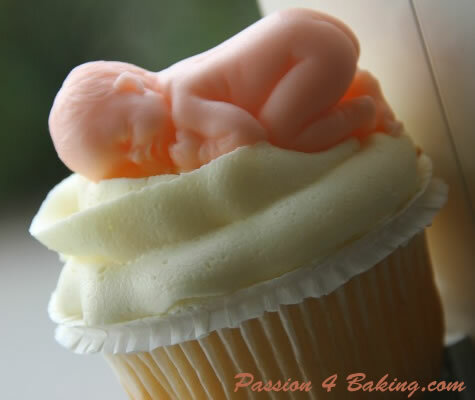 They aim to ‘transfer’ sugarpaste easily onto the sides of your cakes without the mess or fuss. 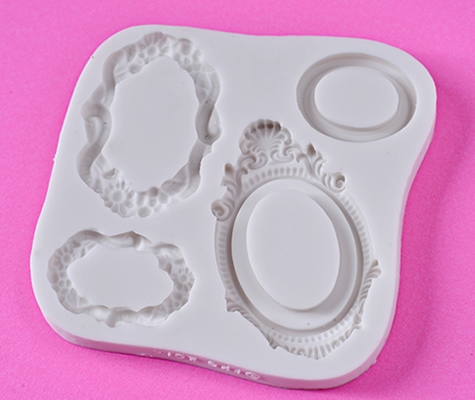 The Cake Decorating Company are the UK distributor of these moulds so if you head through the links below you can see the full ranges. 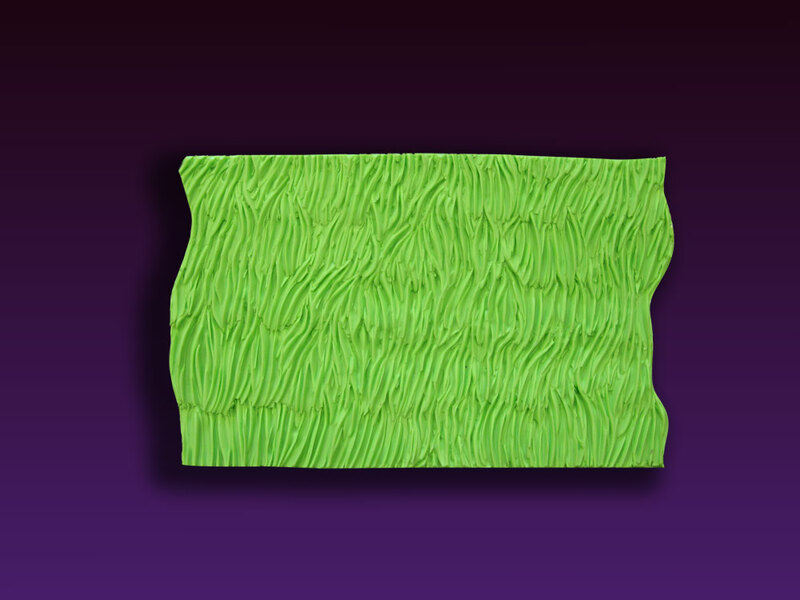 Click to find out more about Marvelous Moulds and Silicone Onlays. 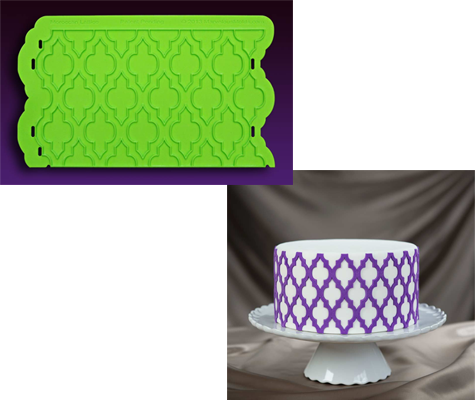 Featured above (from left to right): Moroccan Lattice Onlay, Charming Brooch Marina Sousa Mould and Short Fur Impression Mat By Elisa Strauss. 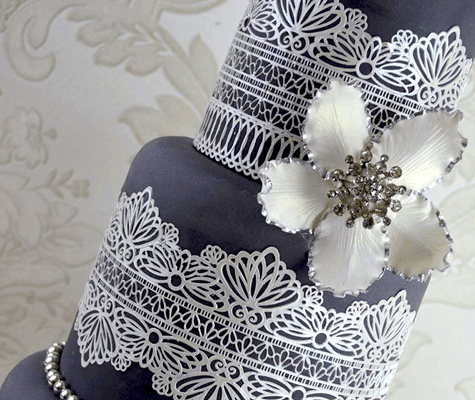 Cake Lace mats are used to make flexible and fully edible lace, it’s different from conventional silicone moulds from it’s preparation to making. 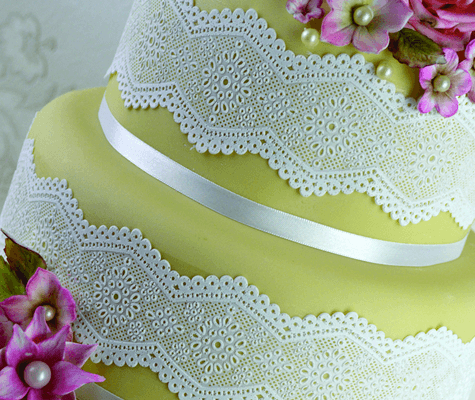 You spread Cake lace (available in a few different colours) over a choice of specially designed mats and dry them in the oven for around 10 minutes. 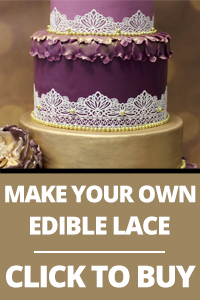 Before you know it you have some edible lace ready for your cakes! 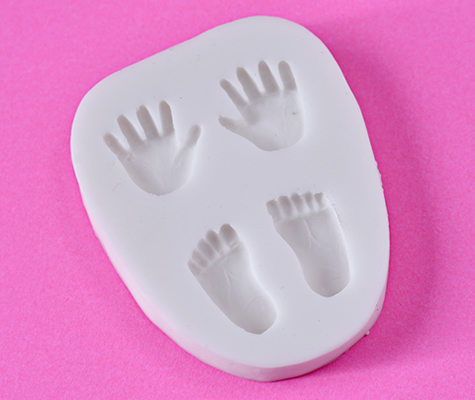 These specially designed moulds are baby pink and are food safe. 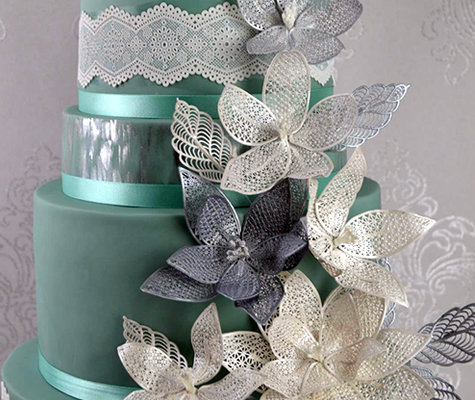 Featured above (from left to right): Fantasy Flower, Serenity and Broderie Anglaise Cake Lace Mats. 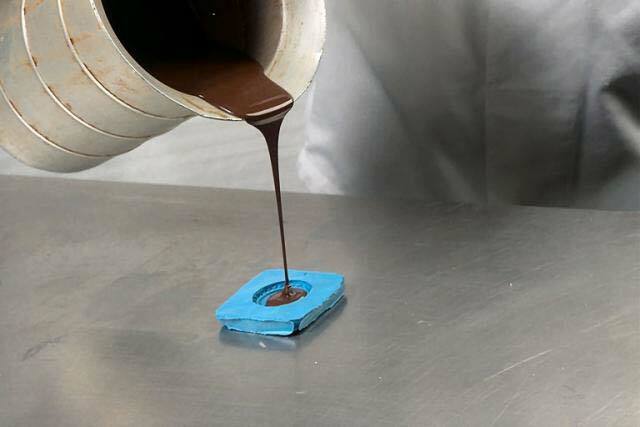 First Impressions Moulds have a huge huge catalog of food safe moulds available. 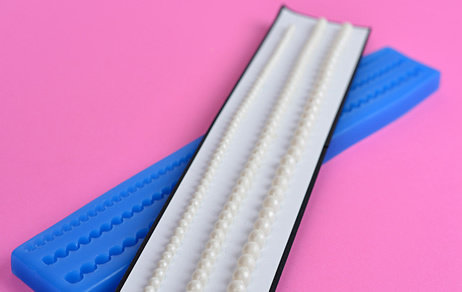 They are distinctively Navy Blue in colour and can be used with many different preparations, such as Isomalt, gumpaste and craft clays to name a few. 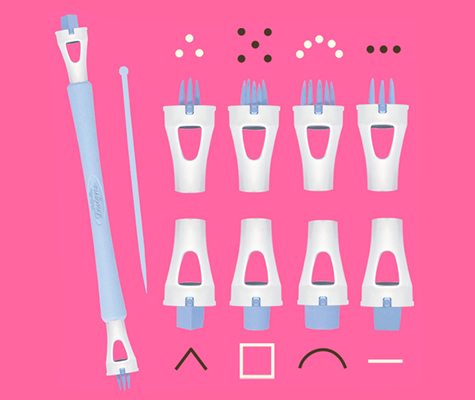 Their range works really well for every cake decorator whether a beginner or more advanced. 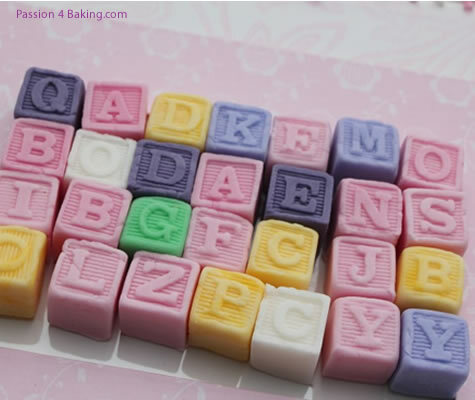 In the UK, The Cake Decorating Company have a very large collection of First Impressions Moulds, this includes Baby 1, Perfect Pearls and Alphabet Blocks, browse them here. Featured above (from left to right): Alphabet Blocks, Baby 1 and Perfect Pearls 10, 8 and 6mm First Impressions Moulds. 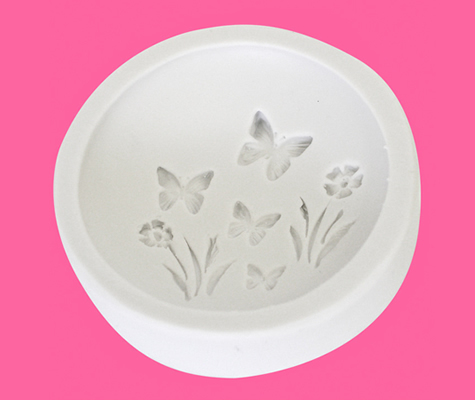 FPC Sugarcraft moulds are a family run company and offer a varying range of moulds, from novelty to fashion inspired. Their moulds are food safe and can withstand temperatures up-to 240°C (464°F), they are also porcelaine white in colour. Experience Steampunk, Alice In Wonderland amongst much more here. Featured above (from left to right): Tiny Hands And Feet, Steampunk Cogs and Vintage Oval Frames FPC Sugarcraft Moulds. 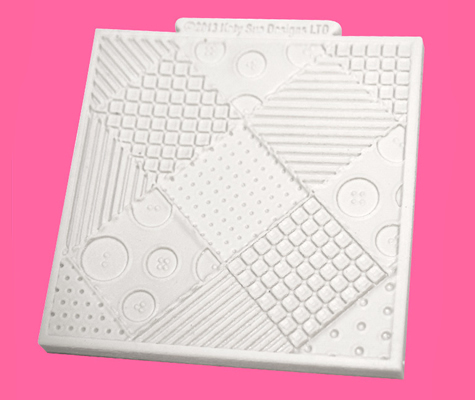 Katy Sue offers a range of paper craft products as well innovative silicone moulds and decorating tools, they recently won The Craft Awards 2013 for the best baking range for crafts. Their moulds are food safe and are heat tolerant. Check out most of their extensive range here. Featured above (from left to right): Butterfly Meadow, Patchwork Quilt and Impression Pattern Creators Kit 1 By Katie Sue Designs. If you still struggle to find a mould, even with the extensive ranges available, you could of course, make your own mould. 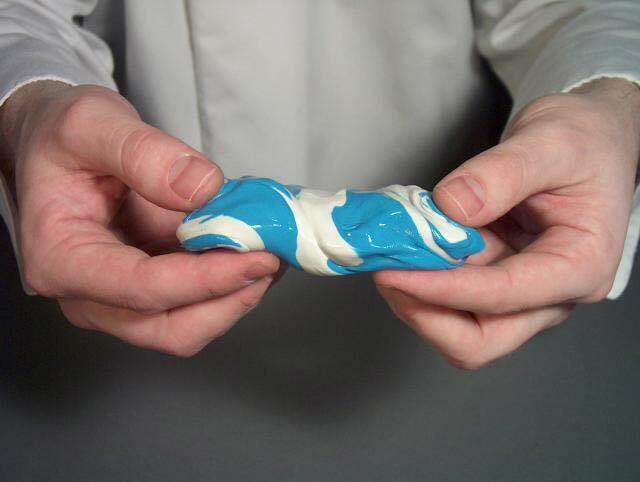 A proven solution here is called Silicone Plastique, a unique, 2-part putty that when combined, starts to cure within an hour. 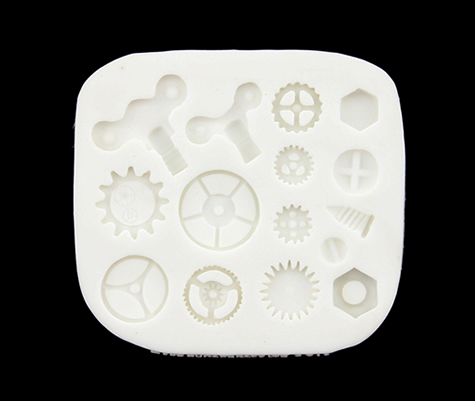 Silicone Plastique is food grade and can make a mould of anything you desire, whether it’s a favourite trinket or a kids toy. Learn more about Silicone Plastique, they are the exclusive UK distributors of this brilliant product. Featured above (from left to right): Brief steps on creating your own mould with Silicone Plastique.